Some people have asked me to give them a better description of assistive technology. I often hestitate to answer without informing them that sometimes, assistive technology isn’t the answer to people with disabilities’ needs and that our society should be more focused on universal design, or at least accessible technology. Now you’re even more confused, right? Well, take a look at the picture of this Coke can. A blogger at Yanko Design created it to demonstrate how a braille-label maker might help people who are blind identify products such as soft drinks, money and spices. 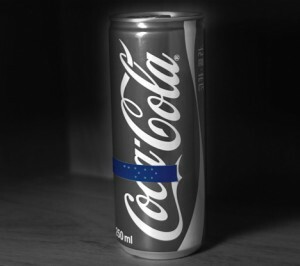 The Coke can is the product; the label represents the assistive technology, meaning something has been added to the product to make it useable by the person with a disability. However, if the Coke can was made accessible to the blind, it would have some braille built into the aluminum can. If we applied universal design principles, then every aluminum can and bottle in the beverage industry would be designed from scratch and incorporate braille, normal-size, large-size and raised text — for those who cannot see but cannot read Braille. With universal design, choosing Coke over Pepsi just got a lot easier — though I’m not advocating one drink over the other. Now, attach this same philosophy across all different types of disabilities — hearing, mobility, dyslexia, etc. — and you’ll see how a simple can of Coke can be transformed to resonate with everyone. I repeat: Everyone. That’s exactly the kind of market global companies should be looking to reach, with each and every product. PS: I am ordering new business cards that have Braille embossed on them (accessible). I’ve got a bunch of old business cards that I don’t want to throw away and would like to add Braille to them on a clear label (assistive technology). Does anyone know who manufactures Braille business-card label makers? I know they exisit, but I can’t find them. Someday soon, I hope all business cards have Braille embossed on them, along with large-print and raised text (universal design). Thanks for your help! Excellent post. The Coke can and braile label made a great example. Maybe universal design would not be braille on the can, but some other way of making the can feel different so that non-braille readers could notice the difference. Lots of potential for that! Depending on how many cards you use, it may be more cost effective to use the embosser. For a small business, they could emboss all of their cards with the same contact information regardless of the individual who’s card it is. I saw a few boxes of Band Aid brand bandaids (the Transformers ones, for instance) that had braille on one side of the box. Not all had it, so it must be something new they are trying out. Hello. Just stumbled upon your blog. Thank you for your comments on universal design. We can help you put Braille on your old business cards. Please contact me and I’m sure we can help you with them.